Perfect for writing Easter Bunny’s thank you card, give kids an Easter gift without the additional gift of sugar highs and slumps, with Tinta Crayons’ awesome Easter crayons! 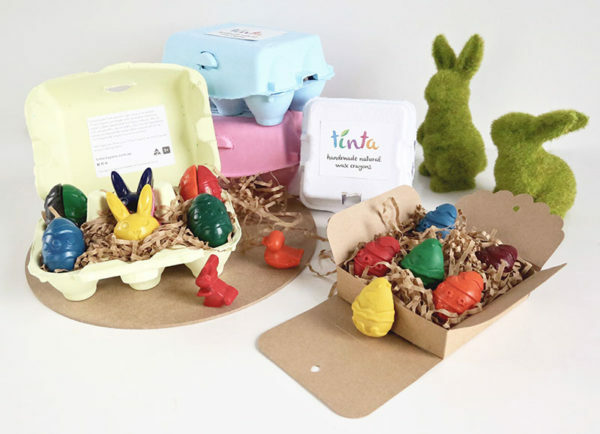 Cute as a button in recycled packaging, Easter eggs, bunny and chick shaped crayons in all the colours of the rainbow debut as the Tinta Crayons Easter collection. Handmade natural wax crayons free of soy, palm and paraffin waxes, Tinta Crayons are a safe choice for creative kids. 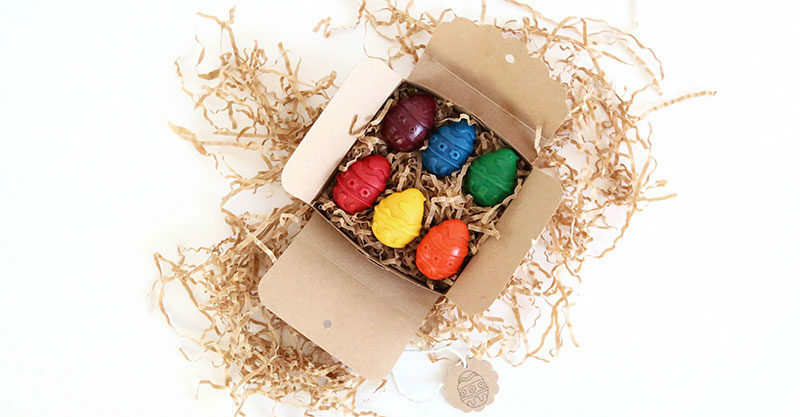 Designed to celebrate Easter while sparking little (and big) imaginations, these hand poured crayons withstand the heat of the tightest grip while giving a gorgeous colour pay-off. Priced from $16.95, Easter crayons are available in sets of six or twelve and available direct from Tinta Crayons.